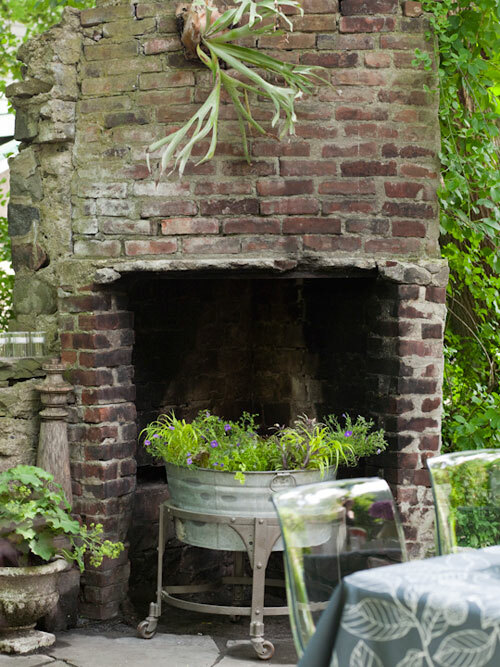 I don't know about you, but with the beginning of spring, I'm anxious to put this fireplace away. With 11 school snow days since January, you can imagine that it's had way too much use this past winter. So many great ideas... I'm inspired to do something with that black hole in my living room. What about you? Love the wine rack idea. How cool! in athens, we have a lot of old houses with fireplaces that are no longer functional. what to do with that void in the middle is always a challenge. 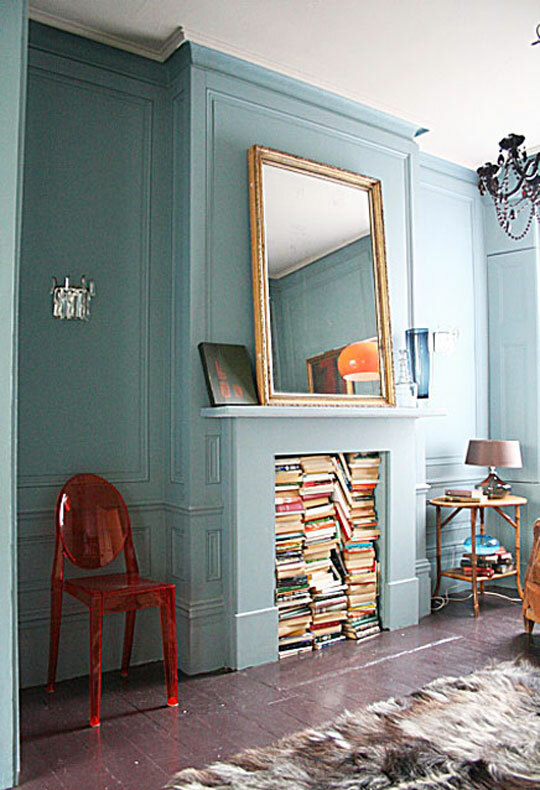 i love the idea of storing books there. 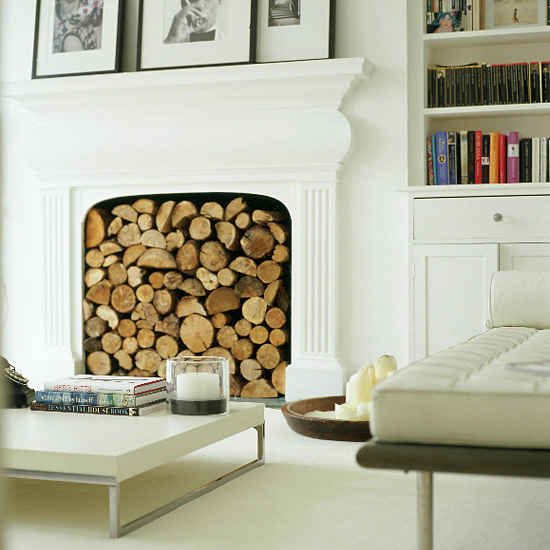 I have a fireplace and it looks dull and empty most especially if not in used. This is why I placed some plants to make it more simple but calming to the eyes. Though, I always make sure that the place is clean so as to prevent the occurrence of mosquitoes. 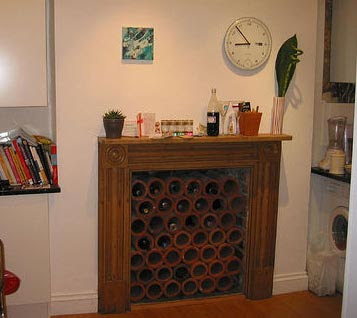 I have to agree that using the fireplace as a storage for wines. It is because the wines could be compiled and arranged inside. I like the fireplace with a mirror since it looked good and the books are neatly arranged. I can’t imagine how the books look like when it puts on a fireplace. But since I saw yours, yeah it’s not that bad to make that idea. 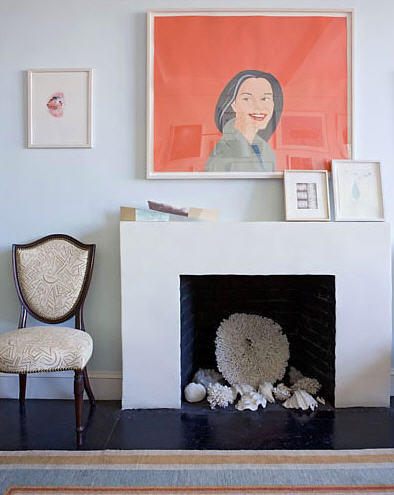 A fireplace is a great benefit during the cooler months of winter, but when summer arrives many people leave the fireplace insert dark and empty. Why don’t try the ideas you shared? 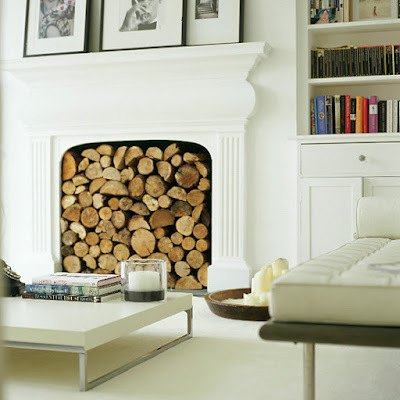 I am going to move into a new apartment with a fireplace next month, and I've been trying to figure out what to do with it. I happen to live in Texas, where it's only really cold enough to use a fireplace a few weeks out of the year, so these ideas are great. I've already started putting decorating ideas together.